Where can I send fax from near me as quick and easy as possible? Where can I send fax from near me? Have you found asking yourself: “Where can I send fax from near me?” and you want to do this as soon as possible? There is no need to look around as you have the best option just in front of you. You can send fax right away from your computer or mobile device with WiseFax. How and where can I send fax from near me? 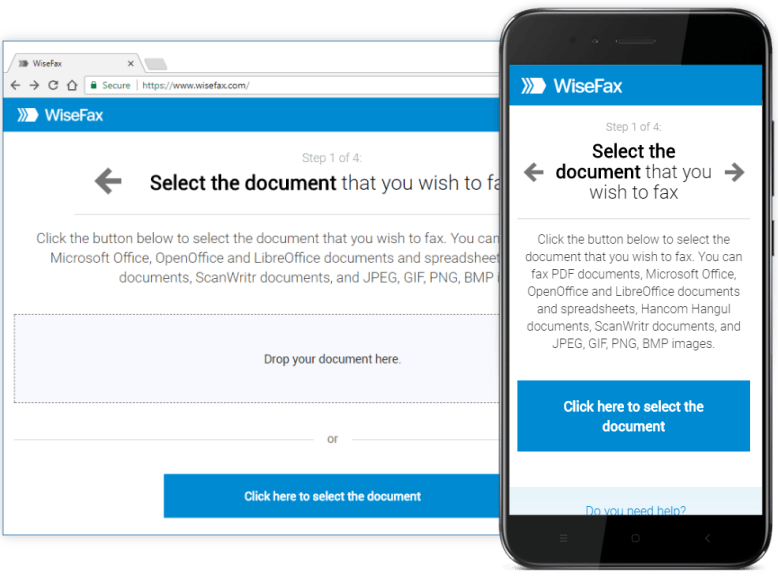 Why should I use WiseFax service to send fax? Fax is still popular in many parts of the world and many companies still use this communication method to send and receive documents securely. The best and many times also the easiest and cheapest solution is to use an online fax service that helps you send fax. If you find yourself in a position where you have to send fax and you don’t know where to send fax from near you, WiseFax can help you do this job easily and securely. Just follow the steps above. WiseFax offers different possibilities of sending faxes. You can send fax with WiseFax also using an app, browser extension or add-in. You can send fax from Android, macOS, Windows 10, Google Chrome, FireFox, Microsoft Word, Microsoft Office 365, Google Docs, Google Drive and Box cloud storage. So, where can I send fax from near me? Now you know the answer: just from where you are now – from your computer, phone or other device, connected to internet. Try it and you’ll love it! Where can I send fax from near me? Just from where you are now – from your computer, phone or other device, connected to internet.